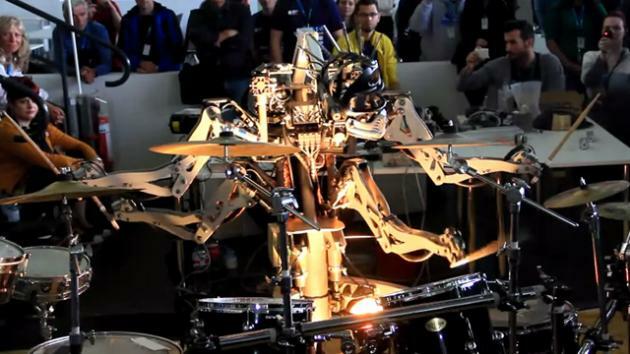 "I'm impressed with Compressorhead – the three–piece robot band (three and a half if you count the little robot who drives one of the cymbals). I went to their website to see if I could discern the origins of the project, DIY, corporate, academic, or whatever and couldn't really find anything on the makers. Then I tracked down the drummer. Stickboy was created by Robocross Machines and a whimsical roboticist named Frank Barnes. ... Reminds me of the Survival Research Labs robot machines, built for public performance and disturbance."